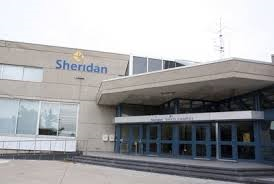 Sheridan College - Davis Campus - C2 Entrance. Rate: $3/hour - $10/day - Only coins and credit card. A mechanical tour of the C-wing mechanical room and heating recovery wheel. Tour of the C162 Lab including roof solar panels. Please note there are two tour times: 3:00pm and 4:00pm. Both tours are identical. Please register for only one of the available tour times. Space is limited in each tour group, first come, first serve. Only online pre-registered Toronto ASHRAE Chapter members will be allowed to attend the tour.